The Armine family, in particular the young Ferdinand Armine, is in great financial difficulties. Ferdinand's grandfather has burdened the family estate with large debts, which his father did not manage to diminish. Ferdinand himself is not disposed to live with his small income alone, and during his time in Malta with his regiment, he incurs debts of his own. The only thing that can easily pay for his debts and restore the house of Armine now is for Ferdinand to marry well, and the chosen wife for him is his cousin Katherine, the heiress to their grandfather's wealth. Katharine, who has idolized her cousin like their grandfather did, immediately consents to the marriage. But for Ferdinand, the match is a matter of necessity, not of love. Just as Ferdinand is beginning to realize that this planned marriage will be a loveless one for him, a chance meeting with the beautiful Henrietta Temple changes everything. "There is no love but love at first sight", and this young lady proceeds to turn Ferdinand's world upside down. Henrietta Temple is a semi-autobiographical novel and the author's first true success. 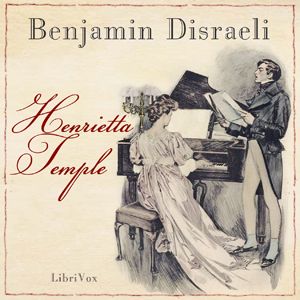 Benjamin Disraeli, Earl of Beaconsfield and later British Prime Minister, based this novel on his affair with the married Henrietta Sykes.